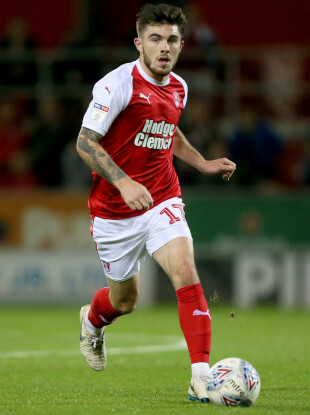 IRISH DUO RYAN Manning and Richie Towell both featured as Rotherham held Championship leaders Middlesbrough to a 0-0 draw at the Riverside stadium. The Millers went three points above the Championship relegation zone following their hard-earned draw. Boro, for whom Ireland international Darren Randolph completed 90 minutes in goal, stay top of the Championship on goal difference after second-place Sheffield United could only draw 1-1 with Stoke. Leon Clarke’s first goal of the season midway through the second half appeared to have secured victory for the Blades, but Joe Allen’s free-kick two minutes from time salvaged a point for Stoke. Meanwhile, Jordan Rhodes scored twice as Norwich recorded back-to-back wins with a 2-1 victory at home to Aston Villa, who had taken the lead through James Chester. Swansea came from behind in a 3-1 win at home to Blackburn. Charlie Mulgrew’s first-half penalty gave Blackburn the lead, but Welsh side Swansea recovered through goalkeeper David Raya’s own goal, before Connor Roberts (68) and Bersant Celina (85) were on target for the Swans. Millwall bounced back to beat Wigan 2-1 and secure their third league win of the season thanks to Steve Morison’s late winner. Queens Park Rangers made it four games unbeaten with a 3-0 win at home to Sheffield Wednesday. Tomer Hemed and Luke Freeman scored with headers in either half and Nahki Wells added a late third goal. Bristol City v Hull, Leeds v Ipswich, Preston v Brentford, Bolton v Nottingham Forest, West Brom v Derby. Email “Irish duo feature as Championship strugglers hold leaders Boro”. Feedback on “Irish duo feature as Championship strugglers hold leaders Boro”.